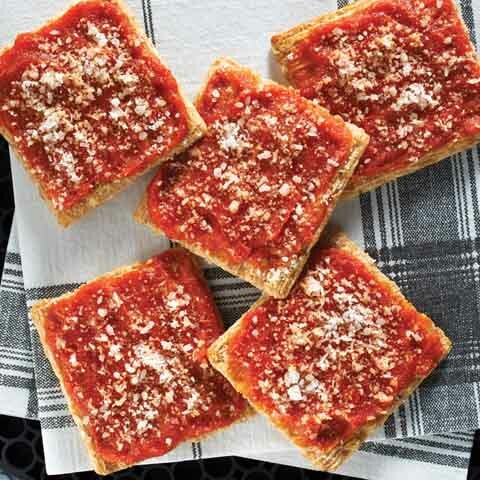 Makes 6 servings, 4 topped crackers each. Cut cheese into 12 slices, then cut each slice crosswise in half. Cut apple slices in half; place in medium bowl. Combine sugar and cinnamon. Add to apples; mix lightly. Place crackers in single layer on baking sheet. Top with apples and cheese, alternately layering cheese slices between apple slices as shown in photo. Bake 3 to 4 min. or until cheese is melted. Serve warm. 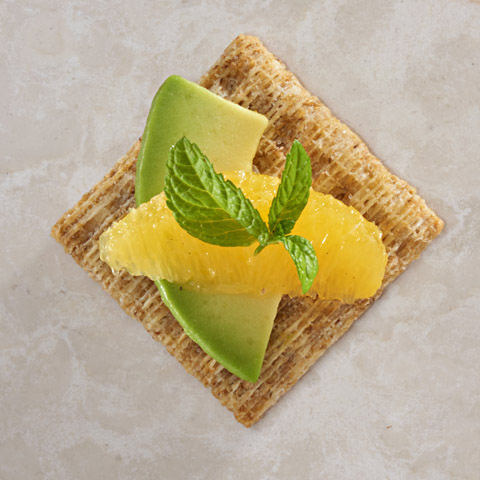 Use Your MicrowaveTop crackers with remaining ingredients as directed. 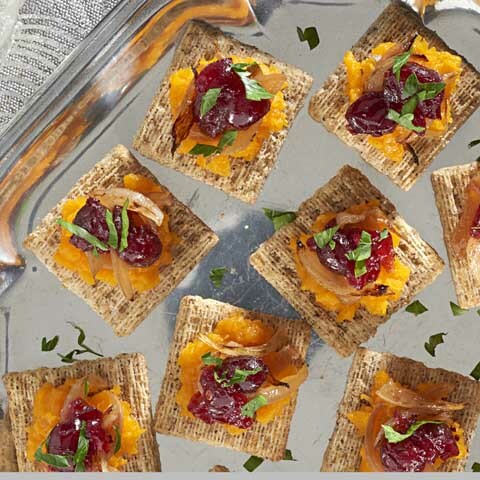 Place 8 topped crackers on microwaveable plate. Microwave on HIGH 20 to 25 sec. or just until cheese begins to melt. Repeat with remaining topped crackers. Special ExtraFor added color, prepare using 1/2 EACH sliced green and red apple. 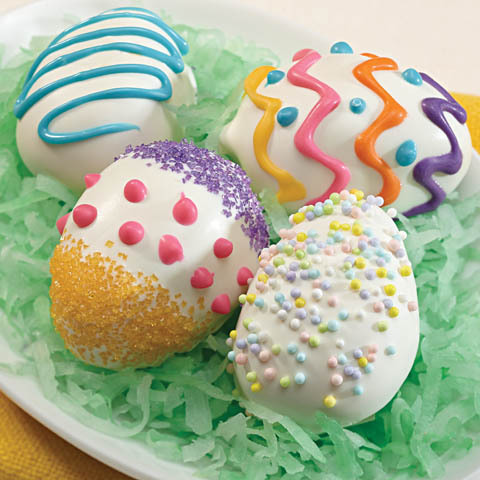 You can feel good about serving your friends and family these tasty snacks that are made with better-for-you ingredients. 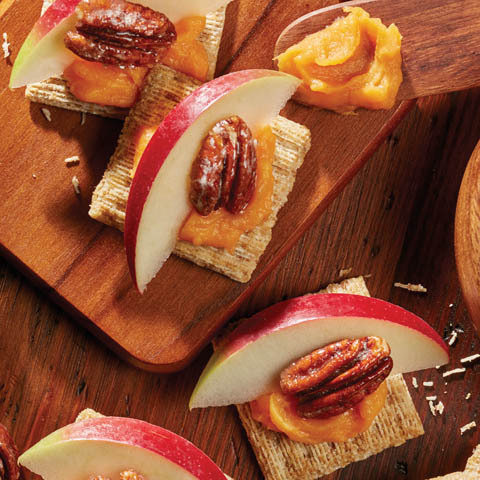 Each serving provides 16 g of whole grains from the whole wheat TRISCUIT Crackers. 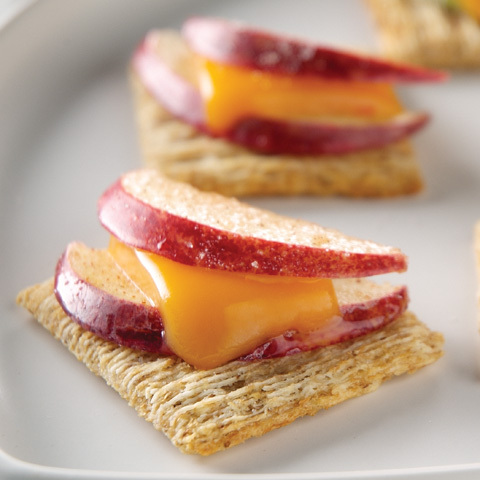 And as a bonus, the crackers also team up with the apples to provide a good source of fiber.